ManyKindRegards.com has received more than 5,900 unique visitors each month since its start in July 2014 and has increased that number to over 8,600 unique visitors in November, just a short five months after the re-launch of this website. Put your message in front of our diverse community of readers with our affordable and effective advertising. We offer advertising on our site, as well as sponsored reviews that include mentions on our highly active social media presence. 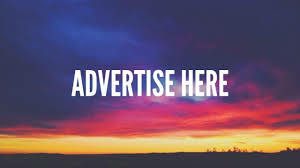 Make online advertising part of your next campaign - starting as low as $25 per month! Banner Advertising Vertical rectangle ads and Horizontal rectangle ads appear on every page of ManyKindRegards.com. Ads will appear on the right side of the page. Banner ads are an effective vehicle for branding, creating awareness and generating leads. Ads appear sitewide and are rotated on refresh in a group of 15 ads or less. Includes your company logo and up to 4 lines of text. Includes up to 4 lines of text. Each sponsored post will be written by a member of the Many Kind Regards staff after using the product or service (provided by client). Client can request to see content before it is published, but final editing decisions will be made by MKR staff before publication. If the staff member uses the product or service but cannot provide a positive review of the product, client will have the option to have sponsored review fee refunded or credited toward a different advertising package. Client will provide images to be used, links and any bullet points about the product or service they wish to be considered for publication. Sponsored reviews will be published at www.manykindregards.com and will also be posted on Many Kind Regards' Facebook page, Pinterest board, and Twitter, Instagram and Google+ feeds for maximum exposure. If you are interested in advertising with Many Kind Regards, please email sales@manykindregards.com for more information and our introductory rates*. *Prices are subject to change at the end of the contract period.